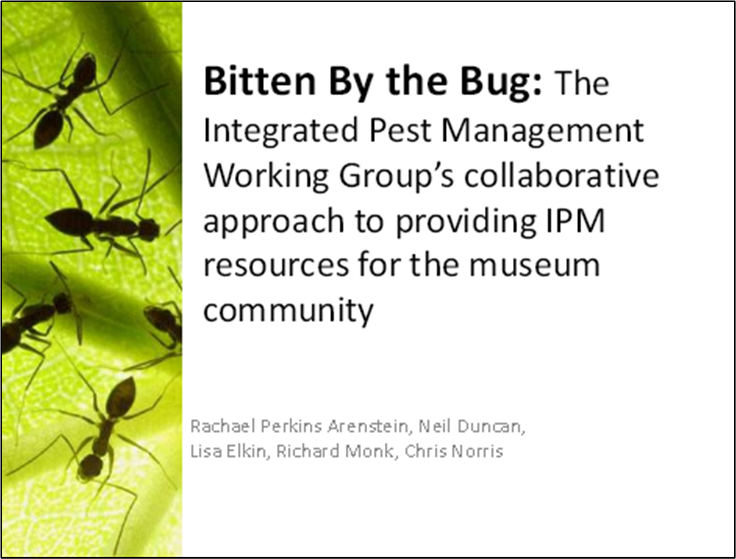 The MuseumPests Working Group (MP-WG) is a group of collection managers, conservators, entomologists and other professionals interested in issues surrounding the implementation of integrated pest management in museums, libraries, archives, and other collection-holding institutions. 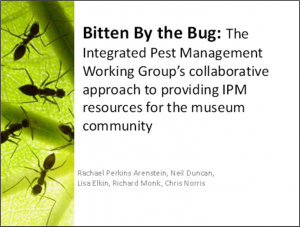 Prior to 2019 the group called itself the Integrated Pest Management Working Group (IPM-WG). The change brings the group’s name in agreement with our most visible product, this site, MuseumPests.net. 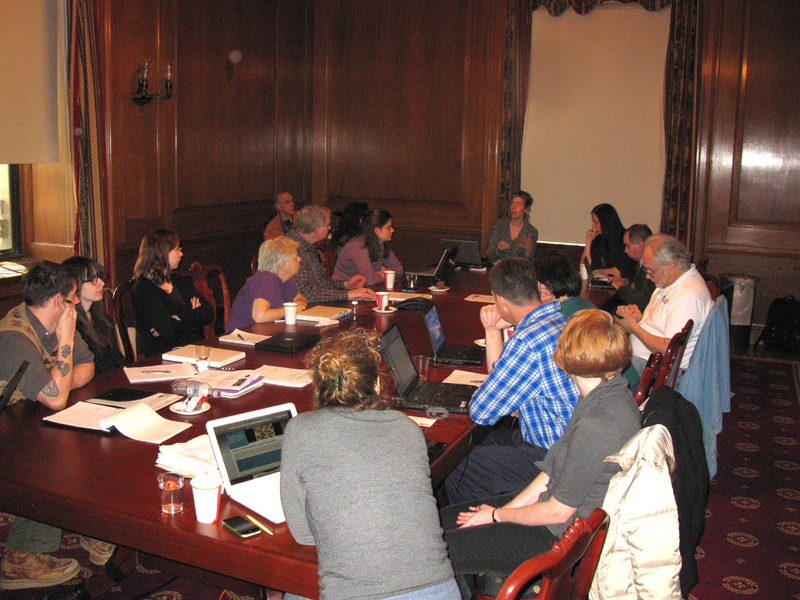 The group meets annually hosted by supporting institutions including the American Museum of Natural History, Rubin Museum of Art, Colonial Williamsburg Foundation, Yale University’s Peabody Museum, Winterthur Museum, Gardens & Library, Harvard University, Insects Limited, and the Indianapolis Museum of Art. We are not officially affiliated with any other organization or institution although we do have informal links to the American Institute for Conservation (AIC) and the Society for the Preservation of Natural History Collections (SPNHC), which have supported the IPM-WG in various ways. We also allied with the U.K. Pest Odyssey group. For more on the history and goals of the group please take a look at the presentations Bitten by the Bug: The Integrated Pest Management Working Group’s collaborative approach to providing IPM resources for the museum community given at the 2008 American Institute for Conservation Annual Meeting or the earlier presentation given at the 2006 Society for the Preservation of Natural History Collections Annual Meeting.